Weightlifter Derrick Johnson flies flag for USA in Iran after 53-year wait. 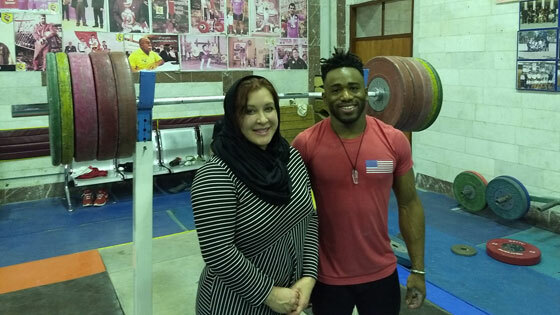 Weightlifters from ten countries will compete in the Fajr Cup in Ahvaz this week, among them elite athletes from the host nation Iran, Iraqis, Syrians, Afghans – and one lone American. Kings of Weightlifting founders talk about striving to be the best at what you do. The Kings of Weightlifting is a registered non-profit by the Internal Revenue Service under Section 501 (c)(3). All the funds we raise go directly to our free after-school Olympic weightlifting program for underprivileged youth with the goal of strengthening the community one kid at a time.